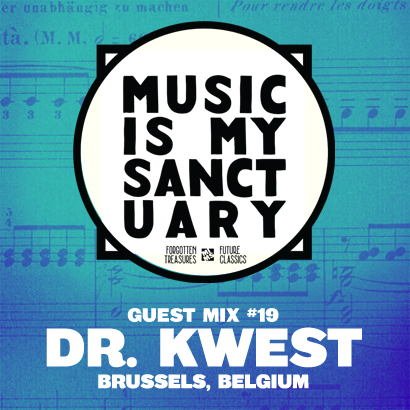 Really nice hour long guest mix courtesy of Dr. Kwest all the way from Brussels, Belgium. Focusing on the worldwide beat scene you could say that the main thing found in this next hour is the head nod factor! Great to see some familiar names on the tracklists; 3 tracks from our hometown of Montreal (Kenlo, Maybe Watson & Noah Barer) which Kwest knows well because he lived here shortly. Also on the mix are tons of artists we didn’t know about which is the point of a good mix: discovery! Dr. Kwest is a mysterious character created by Kalonji. Influenced by Sun Ra and many others, he started his sampling excursions in 2006 and has released several Beat Tapes and remixes since. Future Classic: The Old Writer "Reflection"